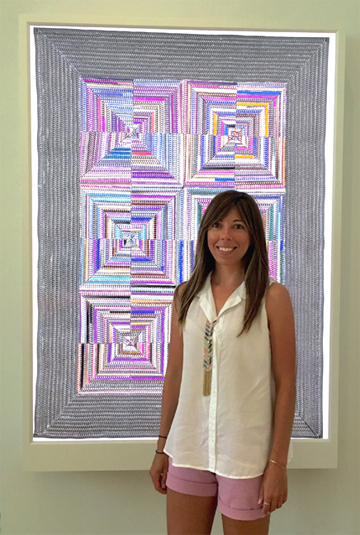 Kristy is an artist, textile designer and a certified yoga teacher. Before getting into textiles Kristy was a dental lab technician for over 10 years. She is proud to say she literally created hundreds of smiles for people! She has her BFA in Illustration and has been drawing all of her life. Kristy is inspired by the beauty in nature especially all things floral. She enjoys using any medium she can get her hands on! Her longtime favorite has been soft pastels but lately she has been loving the fluidity of watercolors. If you have any artistic requests feel free to send an e-mail!